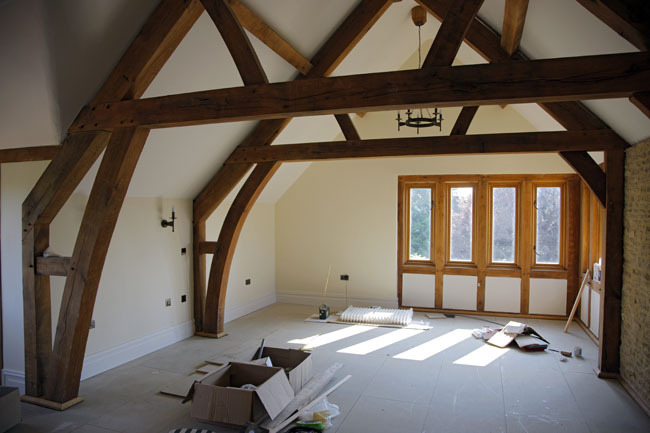 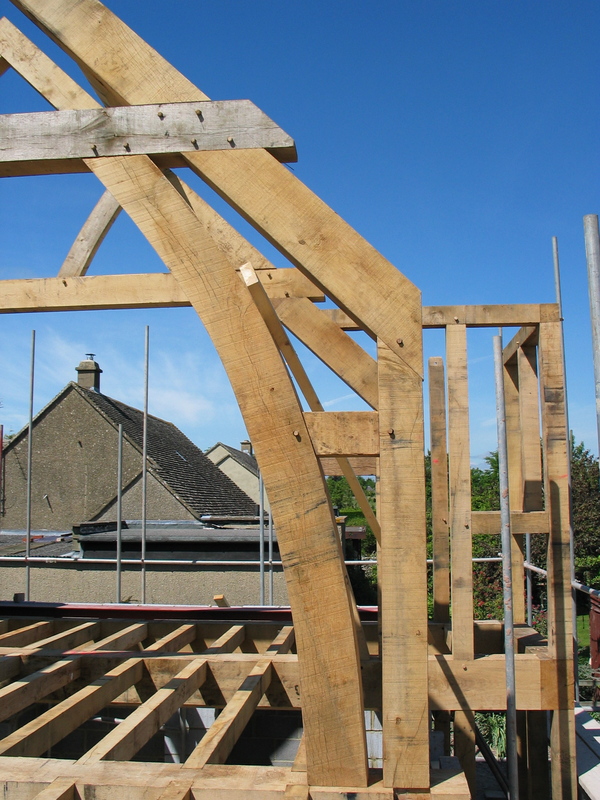 The timber frame was built to fit around the stone and brick walls, with roof trusses to support the roof and to accommodate an airy new bedroom on the first floor. 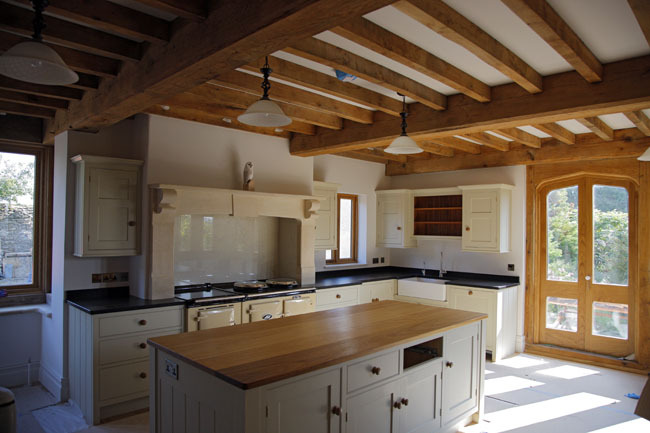 On the ground floor, the beams were left exposed to create a warm country kitchen. 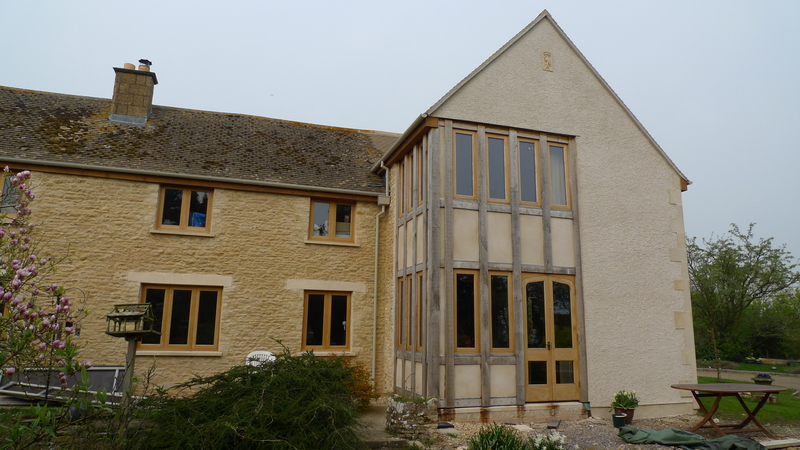 On the exterior of the build, a section of upright posts on both storeys was left exposed, creating a striking traditional style feature and housing the glazed units on both floors.